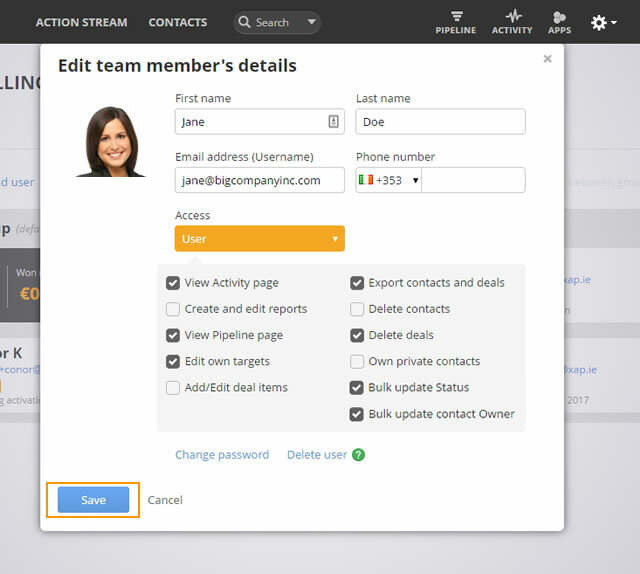 User details such as first name, last name, email address, phone number and password can be edited within your OnePageCRM account. Go to the gear icon → Click Users and Billing. Select the user you wish to update. Go to the gear icon → Users and Billing→ under Users, click on the user you wish to change the password. Click on the Change password link. Enter your New password → press Save. Administrators and Account holders can also edit details and change the password on a sub-users account. How to change user privileges?